Jennifer Dane Clements is a playwright, poet, and essayist based in Washington, DC. Her work has been featured in publications including Barrelhouse, Hippocampus, WordRiot, Psychopomp, and The Intentional. She holds an MFA in creative writing from George Mason University, and is currently the playwright-in-residence with Federal Theatre Project. 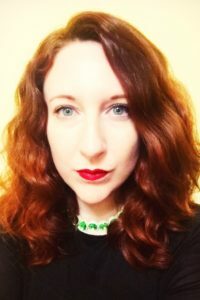 Jennifer has received fellowships from the Fulbright Commission and the DC Commission on the Arts and Humanities, as well as nominations for the Pushcart Prize, the Larry Neal Writer’s Award, and the Best of the Net Award, among other honors. She serves as a judge for the Helen Hayes Awards and is on the board of The Inner Loop: A Reading Series and Lean & Hungry Theater.